Canon Announces EOS 1D Mark IV | Shelby White - The blog of artist, visual designer and entrepreneur Shelby White. 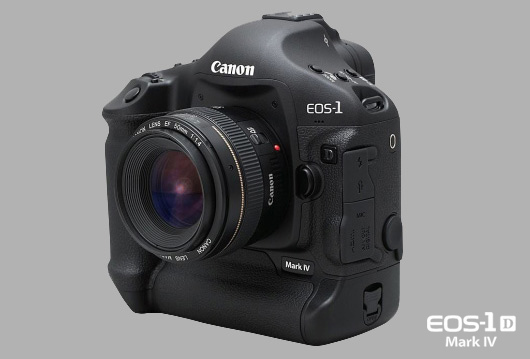 The EOS-1D Mark IV is a high-speed performance beast with a 16-megapixel sensor, and Dual DIGIC 4 Processors. The camear shoots at 10 frames per second and is the second camera ever to have ISO expandable to 102400. This new camera also features 1080p HD video at selectable frame rates. This has been the strangest release in Canon’s history. We–and I’m going to speak for a lot of photographers here when I say this–have been waiting and waiting for Canon to step up the 1d series and tonight they’ve done just that. The Canon 1D Mark IV is the newest and hottest camera on the market. Do you want it or would you buy it? 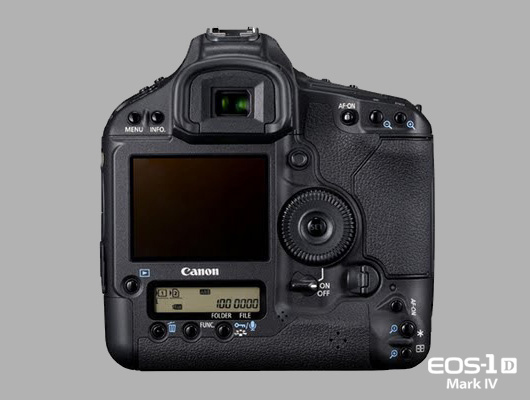 The 1D Mark IV is scheduled to be available in late December. It’s gonna cost you your next three paychecks–the body is expected to be $4999.00. That’s up about $500 compared to the 1D Mark III price. But you have to expect that when you’re getting that much cameraz-a full HD video capable camera, and a super fast, pro dslr. Check out these truly amazing samples from over at Vincent Laforet’s blog. He has been testing the camera for some time now. As soon as Canon can fix the rolling shutter issues for these things they are going to dominate the indie film market and give Red something to think about. You’re almost there Canon. Just a bit farther and I’ll cash in my HVX for one of your DSLRs. I second that. Ditch the CMOS sensor, get a better (faster) CMOS sensor, or add some type of buffer software to the camera that can mend the rolling shutter issue. As far as I’m concerned, if you aren’t shooting on a tripod, these things are more like kaleidoscopes than video cameras… but they are so close. It’s a little ridiculous that century old cinema cameras have better shutter systems than this. Well Sony is set to announce something tomorrow and Red announces on the 30th of this month. I wonder what Sony has for us? Keeping this camera in photo world perspective… I am DROOLING! 10 FPS is way more than I need, faster AF, higher USABLE ISO, and getting up there with MP so that we do not have to sacrifice speed for image size. This camera is the ultimate for a Action Shooter. With the auto cleaning of the sensor and the Dual DIGIC 4 processors are making my Mrk II look more like a film camera everyday…..
Keaten–I would totally stick to RED also. They’re much higher quality for video as they seem to be more dedicated to it–their origins were in video. The only problem I see with using a camera like this (mk4) is that it seems that it may be a lot harder to get steady shots. Shelby, you should check into what Red is capable of doing with their photo side of things. Very expensive, but some truly amazing things. making everyone finally produce what they already knew they could. I like that they put a $300 lens on a $2,556,2663 camera. I cannot wait to get my hands on the 5DmkII with some good glass. I’m SO over my 30d. cigarette without dreaded carcinogens. Getting Eccig to deal with lifestyle with out cigarettes is a problem.